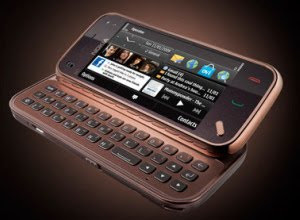 Ovah Coffee: A Nokia N97 Or An iPhone 3GS? A Nokia N97 Or An iPhone 3GS? I am in this very moment situated in the middle of two different choices. Should I go for a Nokia N97 or an iPhone 3GS? About a couple of hours after dinner, my boyfriend asked me if I would want to get myself an iPhone. I was in confusion as I had been a Nokia user since 1996. We had been going back and forth some online pages about the two phones, comparing both features and prices. My current phone, a Nokia N73 is still in very good condition which I've been using since October 2006 and it seems like it's too difficult to let it go. At the same time, I want to upgrade to another phone to ... I don't know ... have a new phone with better features. As of now, we both are weighing the pros and cons between these two amazing gadgets. If only it's reasonable to purchase both the Nokia N97 and the iPhone, I have surely done that already to avoid confusion. Obviously, such a thing is unwise and just a waste of money. So I guess I better spend a few more days pondering on which one to get and which one to forget. Any suggestions? Which one is better? My New Apple iPhone 3GS 32GB Has Arrived! I like the iPhone girl, mao na ako pangayo sa ako banana this christmas hope i afford niya :-D nice mn pod ang n70 but mas nice jd ang iphone ;). ay, dili nako gusto ang n70. gusto nako is nokia n97. mas gwapo ang features niya than iPhone. daghan naman gud pud kaayo gagamit ug iPhone ui. thinking of using something that not most people have. hehe. unta mahatag sa imong bana ang imong wish this xmas. hello bill. 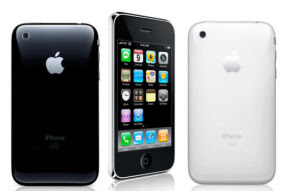 as much as I wanted to get the nokia N97, i ordered the iPhone 3GS instead. i went to the store a couple of times and tried both. nokia N97's touch screen wasn't so easy touch when i tried it while iPhone's screen was so responsive to even just a light touch. will go back to Nokia when they are already able to improve their touchscreen phones. have a great day bill!